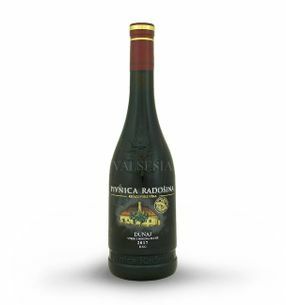 Danube - great red wine from the relatively young Slovak eponymous variety which was bred at the Research Institute of Viticulture and Enology in Bratislava our leading šľachtiteľkou Ing. Dorota Pospíšilová, Ph.D. It comes from the triple crossing of varieties (Muscat Bouchet Oporto x) x St. Laurent. 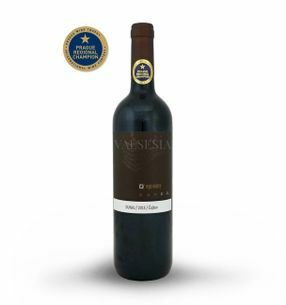 Danube became almost immediately extremely popular variety and rightfully so - the Danube's wines are a beautiful ruby red color with a wonderful fruity character, fine tannins, pronounced fullness of flavor with notes of overripe cherries, which may pass until chocolate aftertaste. 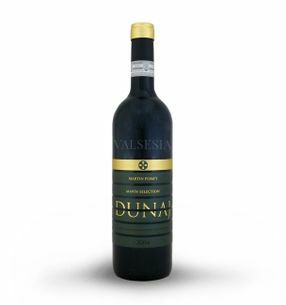 Danube enchant every follower quality red wines. MAVÍN | MARTIN POMFY Danube 2015 Mavín Selection, selection of grapes, dry, 0.75 l Beautiful Danube from one of the best vintages of red wine with us for the last few years ... 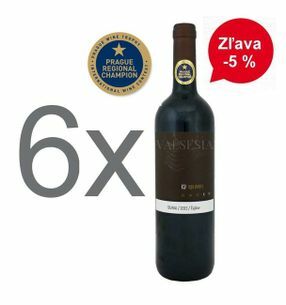 Exceptional wine, which immediately gives you a wonderful, almost intoxicating aromatic plum-cherry jam, with hints of blackberries and dark chocolate. The glass will astonish you with elegant, powerful taste copying the wonderful aromatic sensations accompanied by a delicious vanilla tones. MAVÍN | MARTIN POMFY Danube 2016 Mavín Selection, quality wine, dry, 0.75 l Noble red wine beautiful dark ruby ​​color full of massive but elegant tones of black forest fruit, soft vanilla with an attractive terminal cherries in chocolate. Beautiful fragrance is fully responsible and dignified, full and complex flavor, copying the attractive aromatic sensations, enriched with pleasant velvety tannins. Víno Nichta NICHTA Danube 2013, D.S.C., dry, 1.5 l in wooden gift case Valuable gift box magnum bottles (1.5 liters) of great čajkovského Danube 2013 NICHTA of wine. 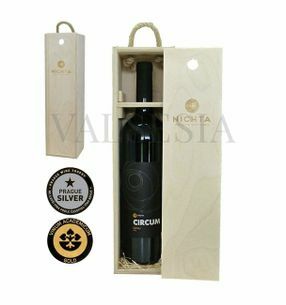 Wine with attractive aroma which reflects Tuff bedrock Tchaikovsky region in an elegant gift box is a worthy gift for birthday, Christmas, jubilee, as well as attention to an important business partner.